Depending on the shine of light or the turn of a page, author Edith Pearlman shifts from the point of view of a lost six-year-old girl to an addict of a drug made from a Brazilian beetle. From a fed-up cancer patient to a pair of shop-lifting geezers to a Jewish student of Japanese. She’s a chameleon, but without the need to bask on rocks. This author, who has been writing and publishing short stories in small literary magazines since college, found fame in her 70s when a new publisher, Lookout Books, was savvy enough to compile 21 of her older stories and 13 new pieces. 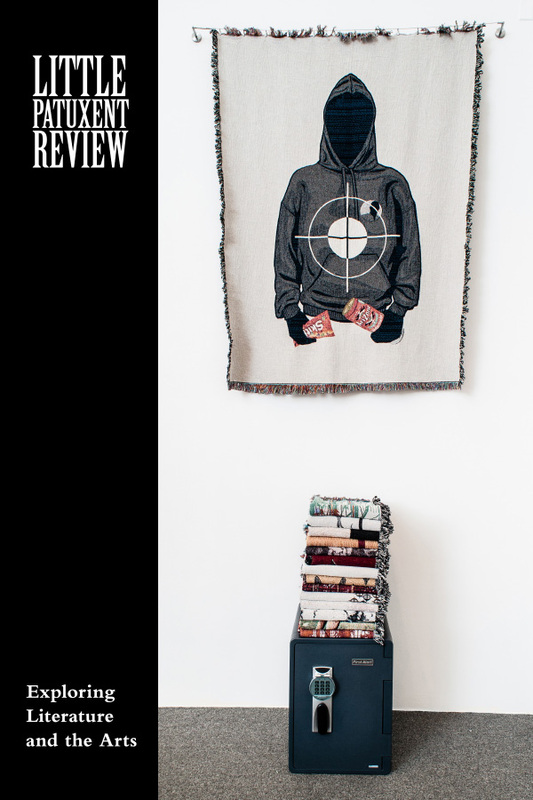 The resulting book, Binocular Vision: New & Selected Stories, has gone on to win the 2011 National Book Critics Circle Award for fiction, the 2011 PEN/Malamud Award and a spot as a finalist for the National Book Award. 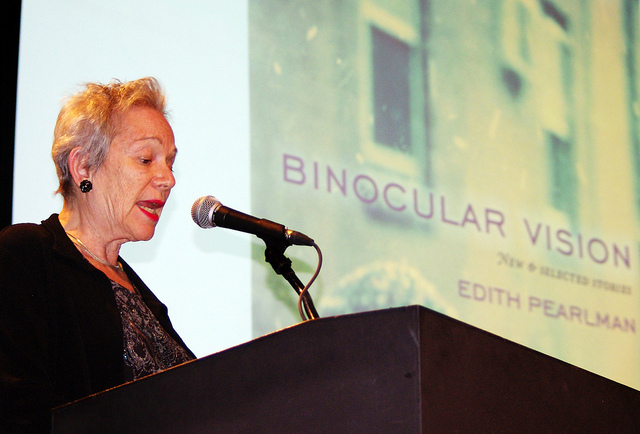 Still, I think that Binocular Vision: New & Selected Stories should be the book with which Edith Pearlman casts off her secret-handshake status and takes up her rightful position as a national treasure. Put her stories beside those of John Updike and Alice Munro. That’s where they belong. Here’s a section from the Pearlman short story “Self-Reliance” that will appear in the Audacity issue of Little Patuxent Review launching this Saturday. The main character Cornelia is contemplating ending her life after getting a second cancer diagnosis. The tomatoes nestled in her striped bowl. For a moment she regretted leaving them, their rough scars, their bulges. Then, eyes wide open, the knowledgeable Cornelia endured a vision: emaciation, murky awakenings, children obediently keeping still. She squinted at a bedside visitor, she sat dejectedly on the commode, she pushed a walker to the corner mailbox and demanded a medal for the accomplishment, she looked at a book upside down. The mantle of responsible dependency…it would not fit. With one eye still open, she winked the other at the tomatoes. Pearlman’s stories are packed with exacting prose, sly humor and telling gestures. Yes. It would have helped also to have been many genders, many nationalities; to have belonged to many social classes and even many biological orders. But it was interesting to imagine being impoverished, male, Hungarian; in one story, a butterfly; in another, a devotee of a Brazilian drug made from beetles. Imagination joins experience. As far as I know, she has never written a story from the point of view of an actual chameleon. But there’s plenty of time left. 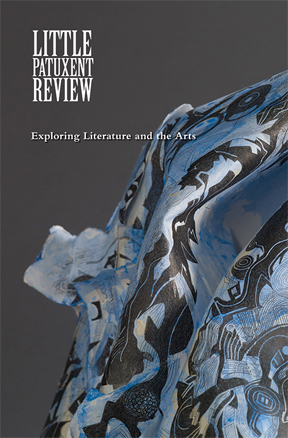 Note: Susan’s Edith Pearlman interview runs in the Summer 2012 Audacity issue of Little Patuxent Review. Pearlman will appear on June 27 (sorry, it’s sold out) as part of the Columbia Festival of the Arts, which also includes the June 23 LPR launch reading. This entry was posted in Essay and tagged Audacity, Blogs, Books, Essays, Fiction, Interviews, Literary Journals, Literature, Publishing, Readings, Short Fiction, Writing. Bookmark the permalink.